The Brooksbank Cycle Circuit is a 750 metre tarmac road circuit located close to the West Yorkshire towns of Elland and Halifax and part of the extensive sports facilities of The Brooksbank School Sport College. 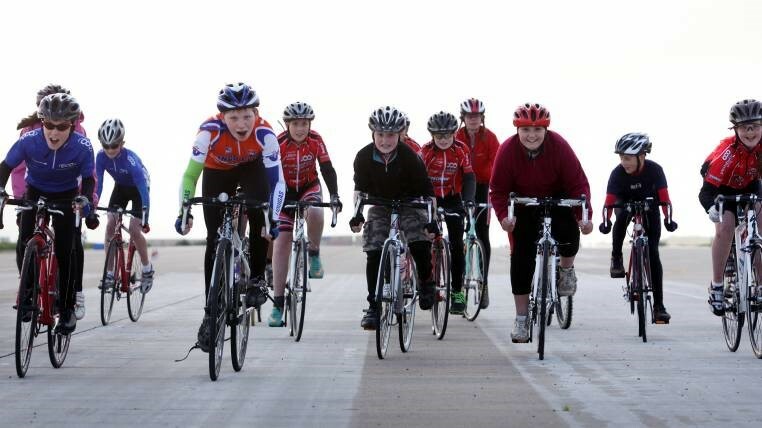 The track was opened in June 2014 and provides a high quality, traffic-free facility for cycle training, coaching and racing. The circuit is available for hire direct from the The Brooksbank School Sport College. During weekday lesson/term times, the circuit is available for hire by Primary and Secondary Schools and by other educational establishments. On selected evenings and at the weekends, the circuit is available for hire by private groups, clubs and individuals. Further details of how to hire the track can be found on our Hire the Circuit page. The Pedalsport Cycling Club is another way to access the circuit. The club has range of regular coached sessions every week for its members. All ages and abilities are welcome. To access these sessions, you will need to join the Pedalsport Cycling Club. Full details are on the club’s website.